Bringing you closer to music. Kanta is destined for music lovers who, above all, are searching for a loudspeaker that delivers the exceptional Focal performance in a compact design. 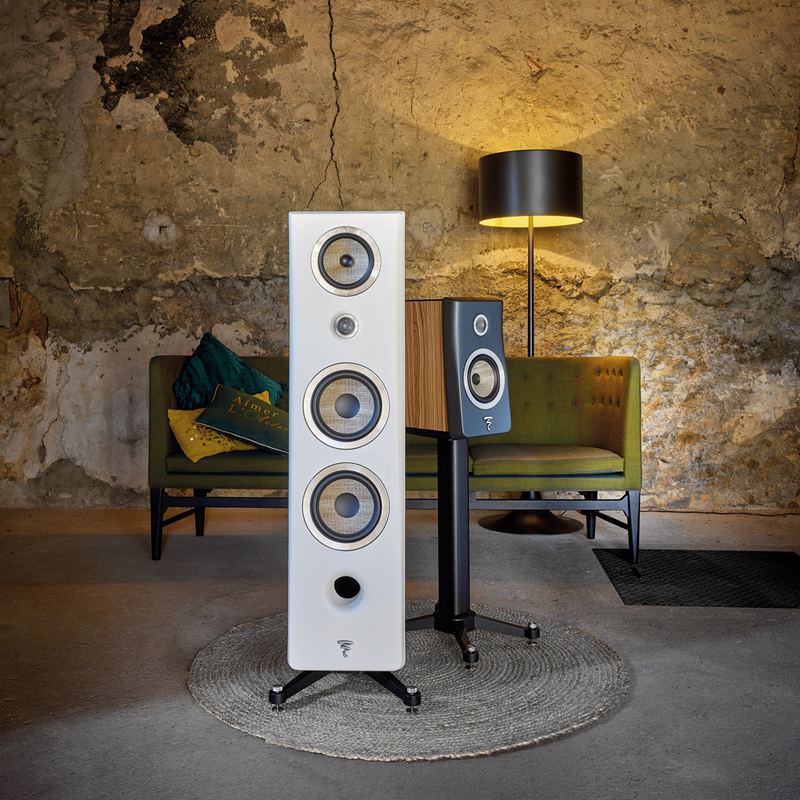 The latest addition to Focal’s Classic Home Audio collection, the Kanta series is a completely new design from the French company. 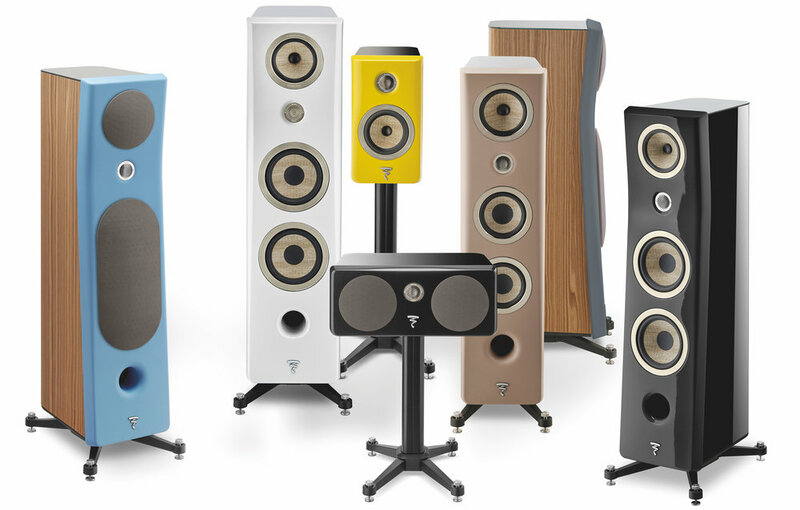 By utilising many of the company’s proprietary acoustic innovations with newly-researched techniques, Focal has created a compact 3-way floorstanding speaker that combines the exceptional acoustic performance the brand is globally known for, with an exciting new industrial design that will blend in perfectly with any interior. Everything is designed and made to create acoustic softness and warmth: the density and stiffness of the baffle and shell materials, softened angles and double vents. The baffle is made of a new material to suit the acoustic parameters. It is moulded in one piece from high density polymer (HDP). This material has excellent performance: it is 70% denser than MDF, 15% stiffer and provides 25% more damping. The one-piece baffle eliminates any sound diffraction. Kanta is equipped with a new generation IAL tweeter featuring a Beryllium inverted dome and Flax sandwich cone speaker drivers. This unique Flax/Beryllium combination gives music incredible warmth and musicality, with an incredibly natural yet musical performance. Improves absorption of sound waves and reduce resonance frequency of the tweeter to deliver an effortless performance. Designed especially for Kanta, the IAL 3 tweeter combines the principles of the IAL (Infinite Acoustic Loading) and the IHL (Infinite Horn Loading) tweeters found in Focal’s flagship Utopia range. This unique driver cone design is characterised by its natural sound, with low coloration, richness of reproduction in the midrange register and tighter bass. Hand made in France and patented, Focal’s Flax cone has already proved its worth in several of the company’s leading designs. The midrange driver is equipped with a technology which has become a must for Focal: TMD suspension (Tuned Mass Damping). Synonymous with all of Focal’s high-end designs, Kanta employs the company’s ‘Focus Time’ driver alignment technology, which positions the drivers so that all sound-waves arrive at the listener’s ears at the same time. In addition, Focal’s ‘Power Port’ technology is used, with a port on the front and one on the rear of each speaker, extending bass response and limiting any dynamic compression of the bass signals. To provide perfect coupling to the floor, the Zamac base, which includes adjustable spikes, offers greater overall stability whilst still maintaining the slim cabinet profile. The last finishing touches include a very elegant glass plate on the top of the loudspeaker, and the magnetic, beret-type grilles. Once removed, they reveal the speaker drivers’ Flax cones, the ultimate design feature which gives Kanta its unique style. The Kanta is a combination of technical excellence, sonic purity and sheer beauty. A wide range of combinations are available to fit into every interior space. The back cover is available in High Gloss black lacquer and Walnut veneer. 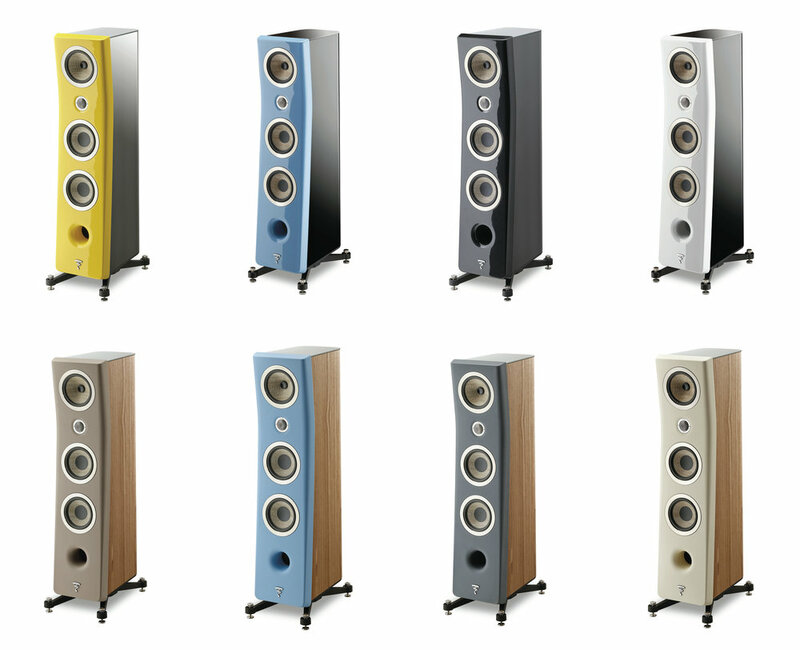 For each of these there are four baffle colours, in two finishes. 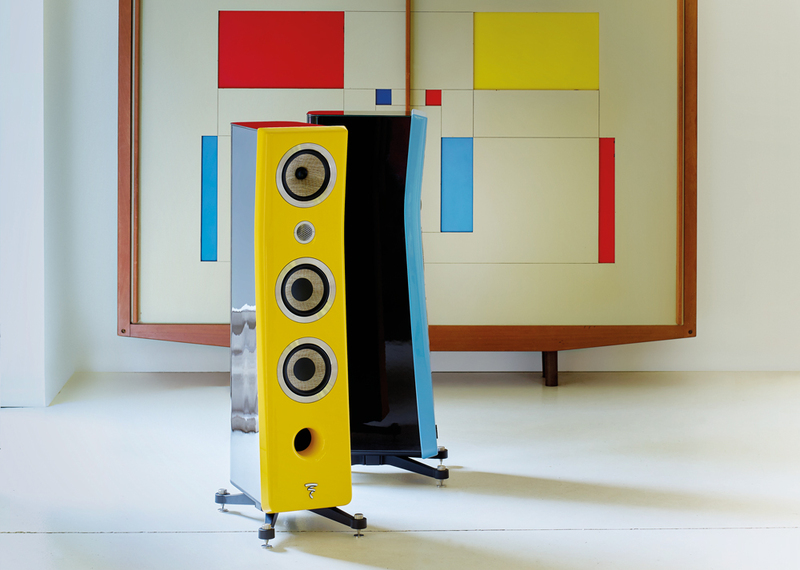 With the High Gloss black shell there are four baffles available: High Gloss Carrara White, Gauloise Blue, Solar Yellow and Black Lacquer. With the wood finish shell there are four baffles available: Matt Finish Ivory, Warm Taupe, Gauloise Blue and Dark Grey. I had a chance to see and hear this brand new speaker in action with one of Naim's Uniti all-in-one wireless music player, and the demo filled the large room with a spacious, airy, crystal-clear sound and impressively deep bass. The new Kanta no.2 is smoother and more relaxed, so we’ll see where this goes over the next few hundred hours. Out of the box, these are one of the most pleasing speakers I’ve spent time with – in this case a stunning first impression. Get in touch with our specialists. Thank you! The availability is estimated to be around end Feb/early March. We will be getting in touch with you then. Absolute Sound Distribution represents the top premium home audio brands in the high fidelity industry. We carry a wide variety of audio products for home entertainment system for you to better experience your favourite music, movies and tv shows. Need help in choosing the right amplifier, speakers, cd player or building a home cinema system? Speak to us and we will help you customize and personalise the best system for you. We are the official authorised distributor for AudioQuest, Boulder, dCS, Custom Design, Elipson, Esoteric, Focal, FM Acoustics, InAkustik, Isoacoustics, Magnepan, Meridian Audio, Naim Audio, Neat Acoustics, NorStone, Stenheim, Storm Audio, Sumiko (coming soon), Teac and Thixar Audio. These brands are highly regarded and trusted in the electronics and speakers industry over the years.